We are very excited to be a problem owner for the next Brisbane Random Hack of Kindness! We have a great team together to build us some great tech on the weekend so that you will be able to add your own content and get more involved in Tech Girls Are Superheroes in 2015! We will be live tweeting from the event so follow us to get the inside scoop! 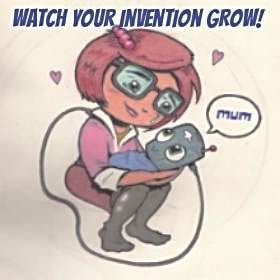 Be the mother of an invention! Service Society Innovation Awards - we are finalists!